A well-maintained wood floor is something that can change your interior completely. Who doesn’t want a stylish, well–taken care of home, that gives warm and cozy vibes, right? Not only does a wooden floor look good, but it is easy to maintain. Unlike carpets, which are pretty hard to be cleaned, especially when they are such a stain, dust and bacteria magnets. Hardwood flooring wouldn’t give you so many headaches and you will be able to easily clean it. Hard floors are classic that has a timeless appeal, they became more famous around the Baroque era and ever since then people all over the world have them in their homes. Floor VarnishingSo that not only will your flooring will be shiny, but will be left with the proper protection and colour scheme. 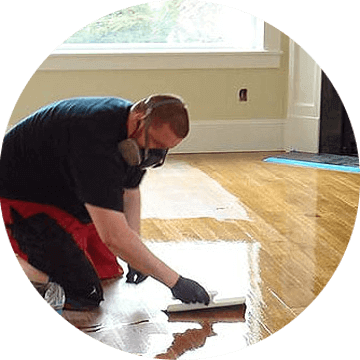 Floor OilingSo that we can restore the beauty of your hardwood floors, enhance their appeal and leave them shiny. Floor StainingSo that we can change the coloring to your desired one or bring back the natural color of your wooden floor. 3809 entries • loading: 0.02652 s.